Clean the fish and make 3-4 slits on it. Make a smooth paste of kashmiri chilli powder, turmeric powder,pepper powder and salt adding little water. Rub the paste on both sides of fish and keep aside for half an hour. Very delicious..haven't tried with rava coating,will try soon!! Looks crispy with the rava...delicious..
Rava coated fish has such a nice crispy look. I have done prawns this way..will try out the fish too. this looks mouthwatering. I am feeling hungry right now. Hey Shabbu! I am happily reading away the recipes on your blog. They are interesting. 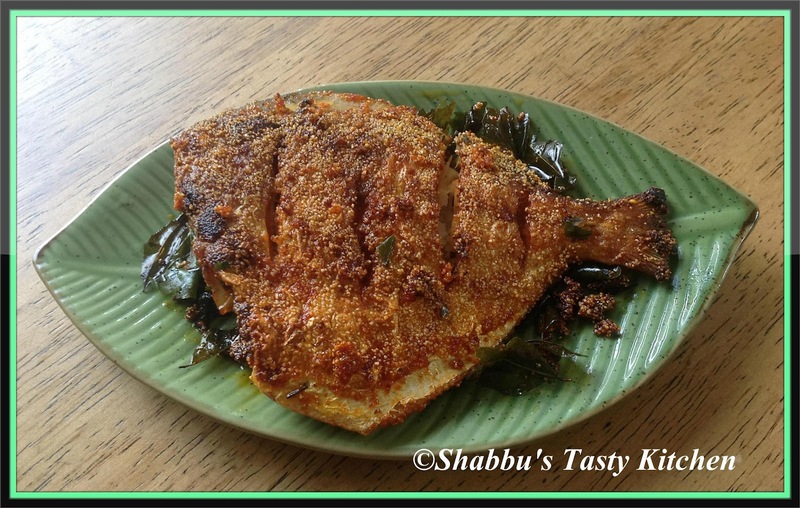 I already have a recipe of this raga coated fish but, with different ingredients. I made one with a new twist yesterday and will post it soon. Keep looking on my Blog ,will post it soon.